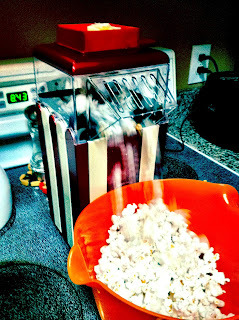 One of the best Christmas gifts we received this year was a Bella brand air-popped popcorn maker. It is so easy to use and the kids think it is hilarious watching the popcorn fly out of the machine. You can melt the butter or margarine on top while the popcorn is cooking. I am so happy with the money we are saving too! I bought a bag of white kernels for $1.39 at the store and can easily make 15 "bags" worth of popcorn with that. 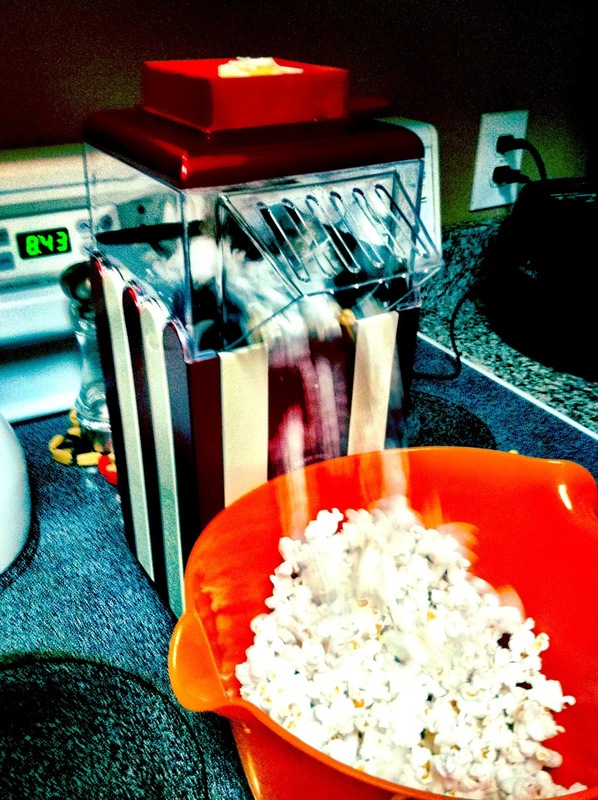 Popcorn is a great snack, with only an average of 31 calories per cup of air-popped popcorn! Thanks Russ & Cindy for the wonderful Christmas gift! The family has enjoyed it so much and I would suggest this as a gift for anyone looking to get something fun or thoughtful for others! I have been thinking about getting one of these and you have talked me into it. Do you pour the melted butter over the popcorn once it is popped? I'm glad you're able to save a lot when you bought that popcorn machine. You're right, it's easier and faster to cook popcorn with this. I hope I could find popcorn machines for sale because I'm planning to have a popcorn business this year. This post is very nice. Thank you for sharing this. I like this snacks. Thanks you for sharing the recipe of making popcorn. Hope your next recipe will published soon.